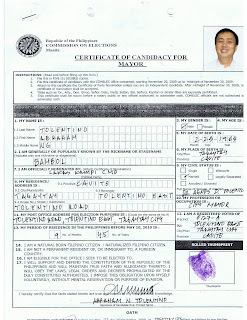 Public information on the Local Candidates of Tagaytay City running for the Election on May 10, 2010. This blog is managed by the Tagaytay Religious Association or TRA (consisting of more than 60 religious houses, convents,monasteries, seminaries and retreat houses in Tagaytay City)in partnership with 26 members of Tagaytay Ministerial Fellowship(TMF)and Christian churches in Tagaytay. TRA and TMF para kay HESUS - Halalang walang takutan; Ehersisyong pagboto, SolUsyon Sa pagbabago! 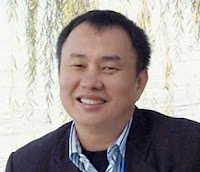 Abraham Tolentino is the incumbent mayor of Tagaytay City. Feb 25, Thursday 3:00 pm - Talk on the Socio-Political Condition of the Country by Professor Randy David, sponsored by Divine Word Seminary. Venue: Aula Magna, Divine Word Seminary. March 12 - Peace Covenant on the Provincial Level- Imus Cathedral, Frday, March 12, 2010- 8:00 a.m, full media coverage, PNP participation and to begin with a mass to be presided over by Bishop Tagle, D.D., STD. What questions do you want to ask to our local candidates (Mayor, etc.) at the Candidates Forum?